Beautiful sculpts! Very effective graphics too. Reminds me of the old WD epic imagery. Ok people lets try again the funder issue has been resolved and we are a go, please follow the link below and thanks for your patience. There will be turrets and other add on's for the sparta in time. Ohh you big tease !!! Apologies guys it looks like it will be tomorrow before we can sort things out, IGG are taking their own sweet time responding to our message. 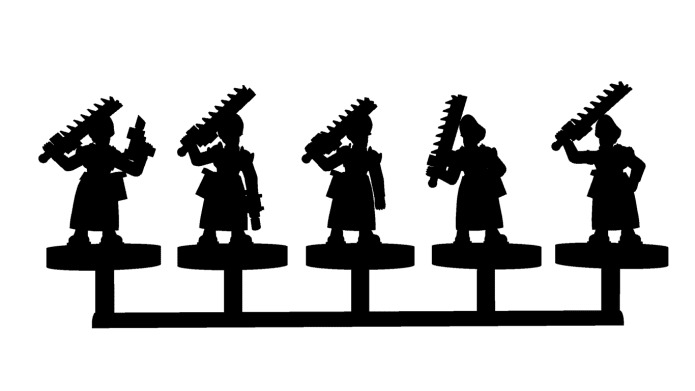 Damn, I wish there was an option to order one of each and every infantry sprue, kind of like the new microwasteland infantry sampler packs from microworld. Some great new additions to the vanguard range. Certainly prefer the look of the Sparta over the Trojans, although why a Fleur-de-Lys? Pathfinders are great as is the Novan Heavy Tank. I really want those Novan regular infantry so hopefully will get the stretch goals released. They look like they are wearing respirators like Novan Royal Marines, so what will be the difference? I assume the weapons are different. Actually we can see that they do have different guns, so my question is what are other differances if they have any? Guys the problem with the funder is this, once the first pledge is made you are required to add the recipients (me) bank account details that the funds will be deposited into at the end of the campaign, no issues there easy enough. Problem is they required a government issued photo ID as well which I don't have so could not complete the required info. So we have had to find a new recipient of the funds in order to proceed, Ben has volunteered to be that guy which means we just need to settle this with IGG before re-starting the campaign. The updated gladiators will appear as a stretch goal as will several more surprises if we do well. I love the new Sparta Tank. Hope there will be more weapon options suitable for sisters in the future.